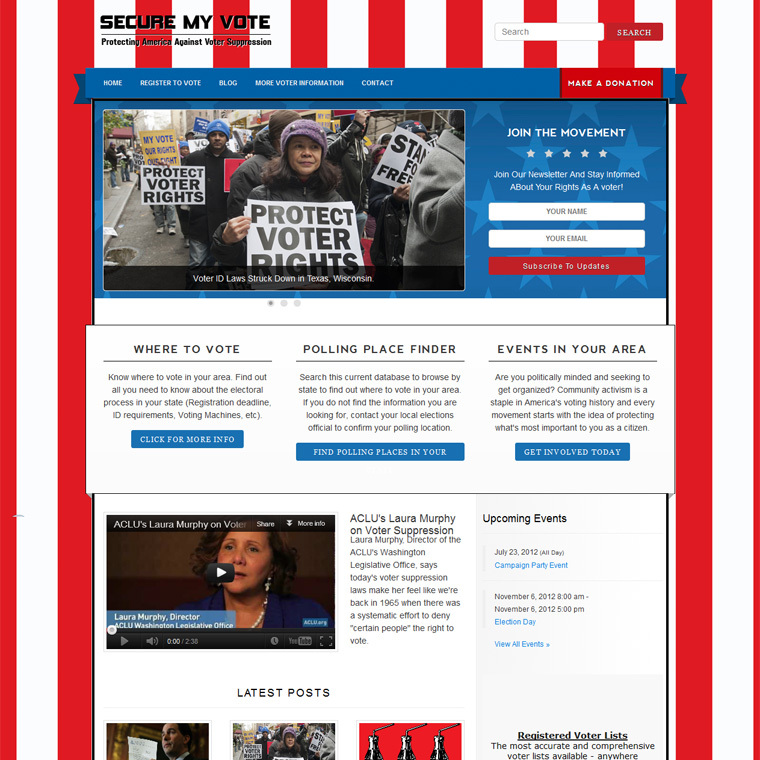 The project request from the client was to create a bright, politically themed web site for helping readers find out the most current information about voting rights. I used the classic red, white and blue All American color scheme with clear easy to understand information. View live site by clicking the screenshot.